Investors, who bought gold from banks, are in a fix as leading jewellery houses are not ready to buy it and the yellow metal cannot be sold back to banks either. "We are not allowed by the Reserve Bank of India (RBI) to buy back gold coins and bars sold by us," Amarjit Walia, assistant general manager, ICICI Bank, told PTI. Banks cannot function as traders of commodities, including gold, RBI's chief general manager for communications, Alpana Killawala told PTI over the phone when asked about the reason behind the policy. She said, "Mere selling does not make a bank a trader. Trading encompasses both selling and buying. It is a sensitive issue, we are looking into it." However, Mr Walia said, ICICI Bank may appeal to the RBI to review its policy to rescue investors. At present 23 banks are allowed by the RBI to import and retail gold. Leading jewellery houses like PC Chandra and Sons and the Tata-run Tanishq chain, however, refuse to buy gold sold by banks. A spokesman of PC Chandra & Sons said that it was a policy decision not to buy bank gold as "people can exchange such gold with our jewellery." Alok Ranjan, regional business executive of Tanishq, a chain with country-wide presence said, "We cannot disturb our floating cash. Consumers may exchange the gold for jewellery, but in that case we deduct a substantial amount to neutralise our cost in melting gold and adding alloys like silver and copper to make it fit for making jewellery." Anjali Jewellery director Ananya Chowdhury said, "Our position is the same as that of others. Moreover, we do not know whether the gold was genuinely procured or not. It is a security issue. We do not want to be dragged into legal hassles." 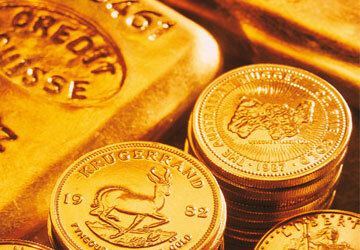 Usually, prices of gold sold by banks are higher than the market price. "We sell 24-carat Swiss gold," an official of HDFC Bank said. The RBI spokesperson admitted that the central bank did not have any regulatory body to monitor prices. Gold sold by banks cost around Rs2,000/10g more over the price sold by goldsmiths. Bishnu Banerjee, a gold specialist of a leading jewellery house said, "Only Switzerland has the technology to purify raw gold up to 99.999%. It also has sophisticated weighing machines which can accurately measure the weight of gold." The purity of Indian gold, he claimed, was far below that of Swiss gold and weighing machines here are also faulty. Mr Banerjee said that banks in India were within their rights to charge more, but prices should not be that high. "Besides, all banks do not sell Swiss gold. Fixing higher prices for such gold (items) is a malpractice," he added.